End-of-season sales are a great place to find cheaper clothes. It's wise to try on clothing before making a purchase. When you shop for cheap plus size clothing, avoid shopping at specialty stores that sell only full sized fashions. These boutiques generally sell designer clothing that may be more expensive than items sold at ordinary department stores. Flattering clothing for full figured women doesn't have to cost a lot of money, if you know where to shop. Saving money shouldn't mean compromising quality, so look for clothing made with shrink-resistant materials. You might be able to find cheap plus size clothing by browsing online, and don't overlook online auctions as well. 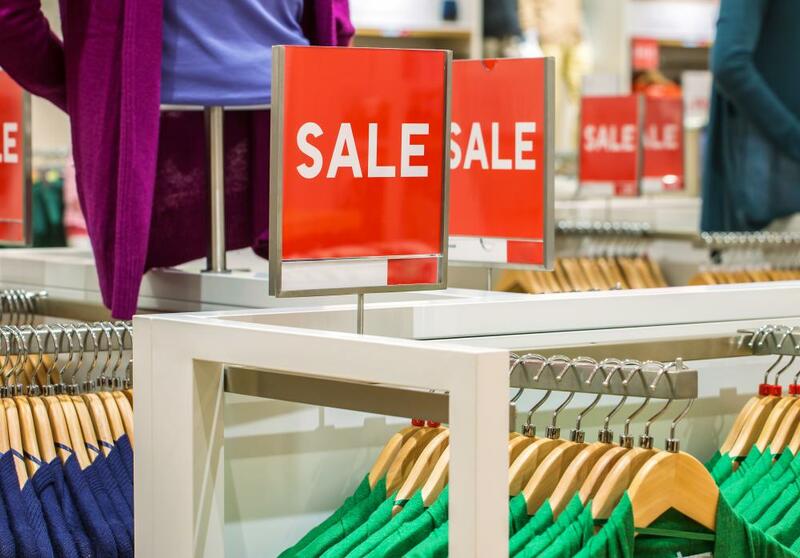 Check stores that sell all items at one set price when you shop for cheap plus size clothing. In some areas of the United States for example, there are fashion stores that sell clothing priced at $10 US Dollars (USD) or below. Most of these stores have a full figure department, where cheap plus sized clothing and sleepwear can be found. 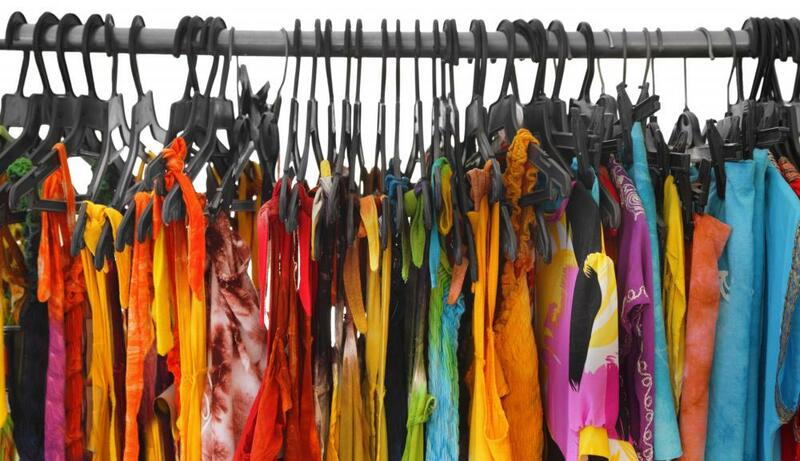 Look for cheap plus sized clothing during off-season sales and clearances. You can always store the items away until the following season. During the months of February and March, you might be able to find some good bargains on full figured sweaters. Plus sized sweaters and winter apparel are generally reduced for quick sale to make room for new spring arrivals. Avoid dresses in the color white, as this can often accentuate curves. Dark colors can be flattering, although some find these colors to be limiting and bland. There are ways to add sparkle to an ordinary black or brown blouse or sweater, and save money in the process. An inexpensive black turtleneck or sweater can be dressed up with a silver neck chain or fashion pin. Remember to try before you buy, and make this a rule every time you shop. It won't matter how affordable or fashionable your clothing is if the fit is not flattering. Bring along a friend and ask for her opinion as well. Cheap plus size clothing that feels comfortable and looks good will give your confidence a boost. If you are looking for inexpensive men's clothing in tall or big sizes, you might need to shop at a men's specialty store. Choose fabrics that are durable and easy to care for. Taking measurements can help the tall or large man find the perfect fit. You can often find bargains at online auction websites. Some items are brand new, while others are in like-new condition, selling at a fraction of the cost most department stores offer. How Do I Choose the Best plus Size Clothing? How Do I Choose the Best plus Size Hosiery? It might seem counter intuitive but I really recommend that you try getting some clothes made if you are looking to save money. Discount plus size clothing often doesn't last very long and I find it rarely fits well either. For much less than you probably expect, you can get some pieces made for you by finding a tailor online, through a store like Etsy. They'll make it to your measurements, and some of them specialize in plus sizes, so they'll know how to make you look wonderful. I've had several things made and I've never regretted it. And I know that the clothes will last much longer than something from a discount store. I just recently managed to find some plus sized jeans in a sale that I'm really happy with. I think jeans are one of the best things you can wear to make you look trimmer, especially if you pick the right kind. Remember that they will stretch a bit, so you want to get some that are a tiny bit tighter than you want. Also, don't just go by the mirror in the changing stall. I know it can be embarrassing to step out into the store to see the mirror from a distance, but it's worth it. If you're standing too close to the mirror, it won't really show you how the clothes look.